This blog is created exclusively for giving details of thanian, vazithirunamam, naalpaadu and brief vaibhavam of azhwargals and achariyargals. 2) The following link gives Nithiya nalayara divya prabanda sevakalakramam according to thirunatchathiram. Adiyen created page for azhwar and achariyargals varush thirunatchathiram monthwise which gives full details of each azhwargal and achariyargal. All are requested to read these articles and try to follow them in the nithiya anushtanagramam. The following link gives a chart showing a list of 108 divya desangals and who did mangalasasanam for each divya desam.This also gives total number of mangalasasana pasurams for each divya desam with azhwargalwise breakup. The details are taken out from Nalayara Divya Prabantha book published by Puthur swami. in a tabular format so that it will be easy for us to read. Namazhwar did mangalasasanam by 11 songs. Adiyen by oversight mentioned it as Thirunangaiazhwar. 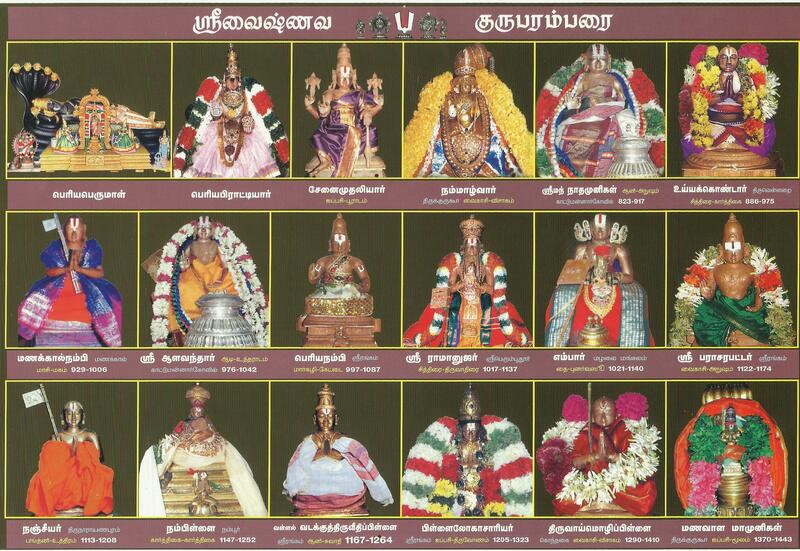 This contains Thiruppallandu, Periyazhwar Thirumozhi, Thiruppavai, Natchiyar Thirumozhi, Perumal Thirumozhi, Thiruchantha virutham, Thirumaalai, Thiruppalliyezuchi, Amalanathipiran, Kanninunchruthambinaal. 2) Irandamaairam – Kindly click the following link (updated on 19.09.15) This contains Periya Thirumozhi, Thirukkurunthandagam, Thirunedunthandagam. 3) Mundramaairam – Kindly click the following link (updated on 29.09.15). 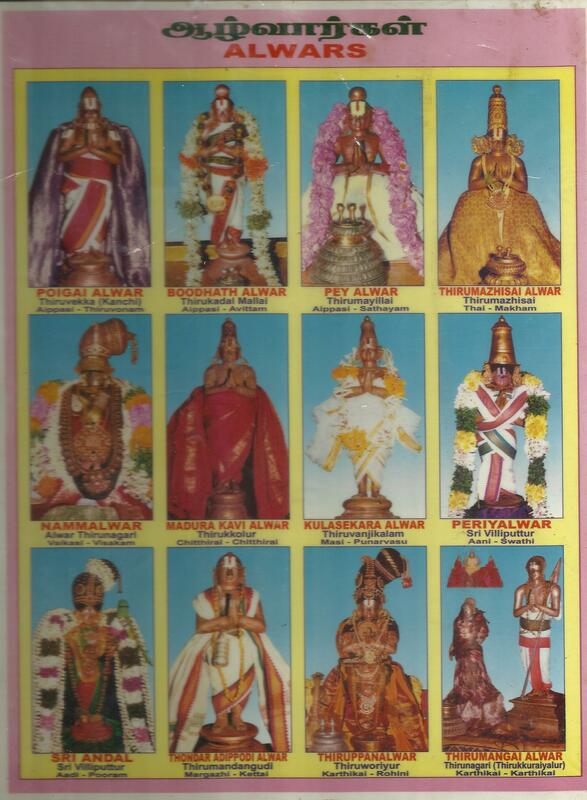 This contains Mudalthiruvanthathi, Irandamthiruvanthathi, Mundramthiruvanthathi, Nanmuganthiruvanthathi, Thiruveeruththam, Periyathiruvanthathi. Periya peratiar sametha Periya perumal thiruvadigale saranam.